Happy Friday, everyone! I hope you’ve all had a fabulous week and have big plans for a fun weekend. I’m gearing up for a rare long weekend with Quinn. We’re looking forward to some fun time together exploring our fabulous city! 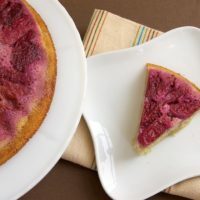 The last few days, my mind has been on filled desserts, those seemingly innocent desserts that you bite into only to find a bonus sweet surprise inside. They’re the Clark Kent of desserts. Seemingly mild-mannered but with something hiding underneath. If you’re a fan of Nutella (and who isn’t, right? 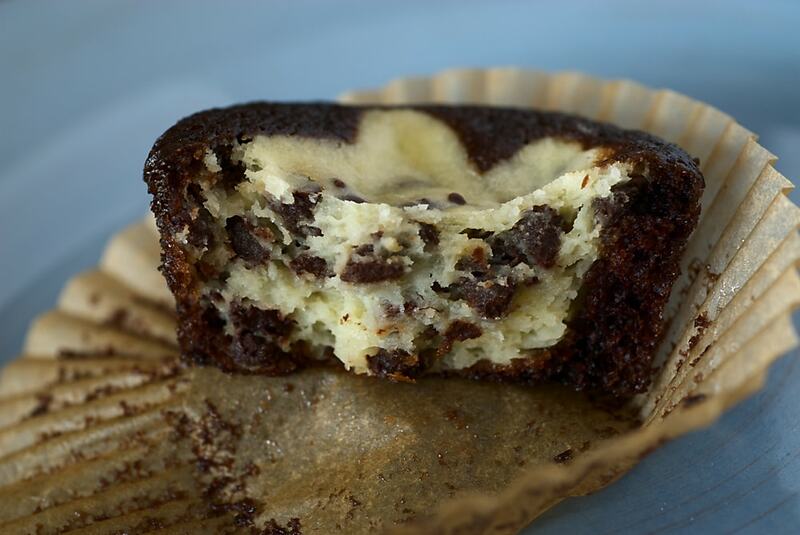 ), these Chocolate Hazelnut Brownie Cups might be just the thing for you. Bite-size brownies are filled with a bit of Nutella and then baked to their rich, chocolate-y perfection. As I was scouring the BoB archives looking for filled dessert recipes, I came across these Chocolate Peanut Butter Munchies from my early days of blogging. I am more than a little devastated that I had forgotten about them! 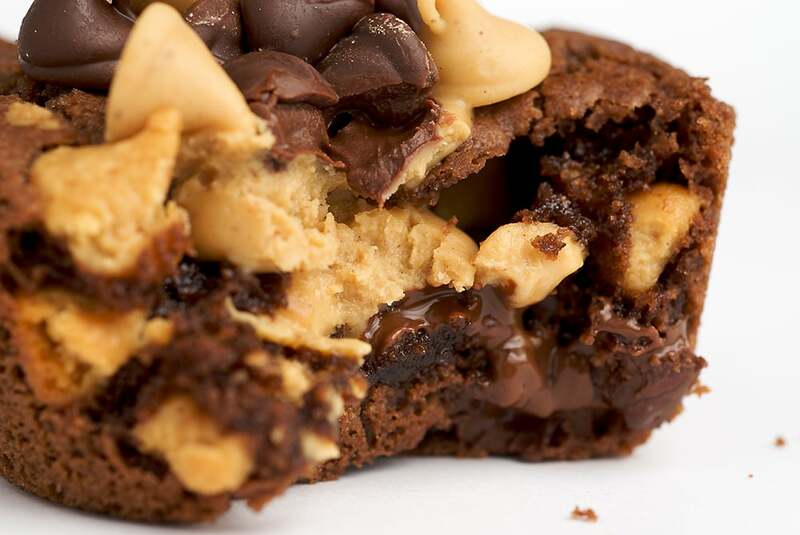 Imagine if a peanut butter cup could be transformed into a cookie. That’s what we’ve got here. They take a bit of effort, but they’re worth every minute. I take most any chance I can to tout these Chocolate Salted-Caramel Mini Cupcakes. They are one of my favorite desserts I’ve ever made. 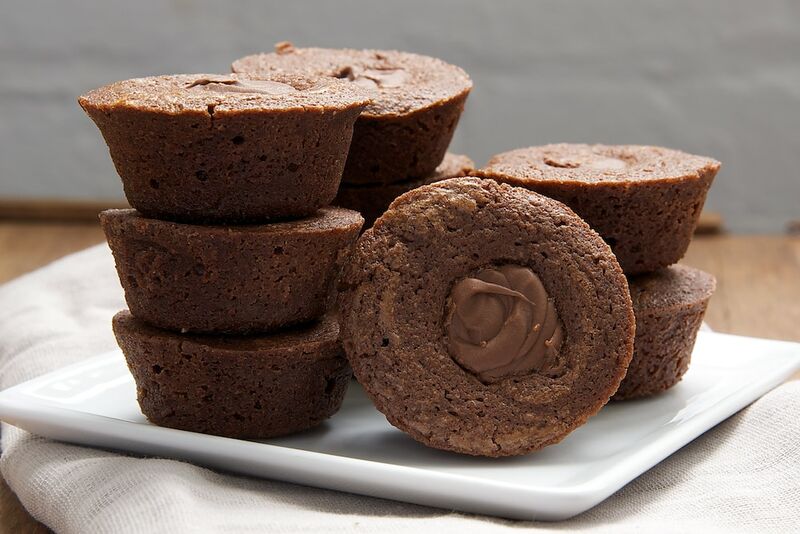 Dark chocolate cupcakes are hollowed out a bit and filled with salted caramel. Then, they’re topped off with a rich chocolate frosting. Trust me, you need these in your life. Chocolate and cream cheese are two of my favorite baking loves. 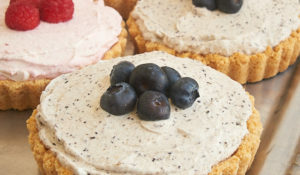 With these simple Black and White Cupcakes, you can have the best of both. Not only are these really, really good, but they also have a great unpolished look to them. I like to dollop that cream cheese filling on and just wait to see what they’ll look like! Of course, you can certainly be a bit more precise with your filling. Either way, you’re going to want to make these. 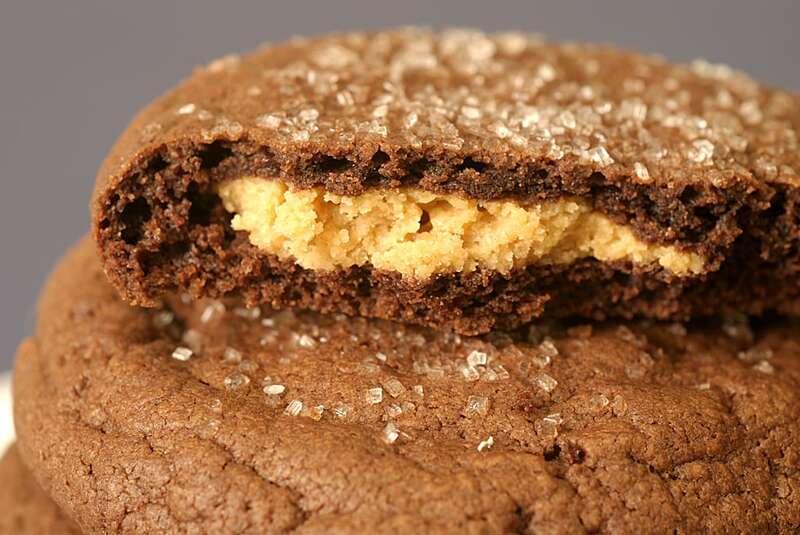 Back to the bite-size theme, I just love these Salty Brownie Tassies. 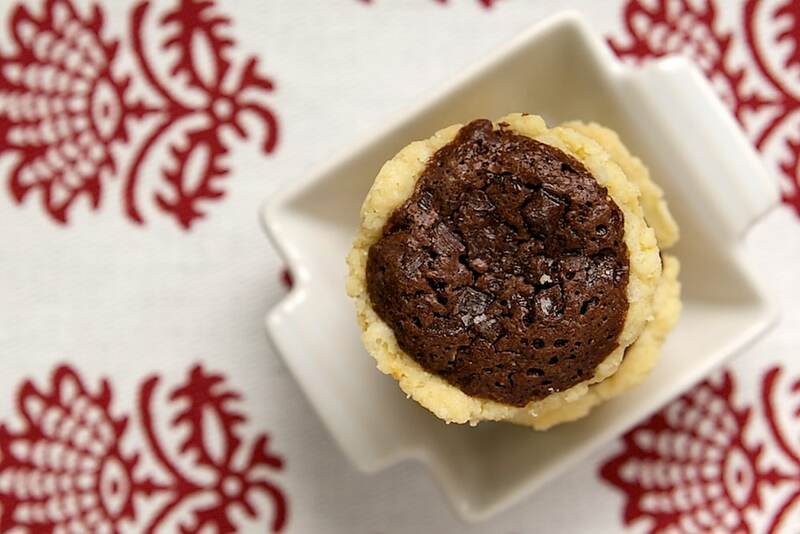 Why would you not love a tiny brownie pie? 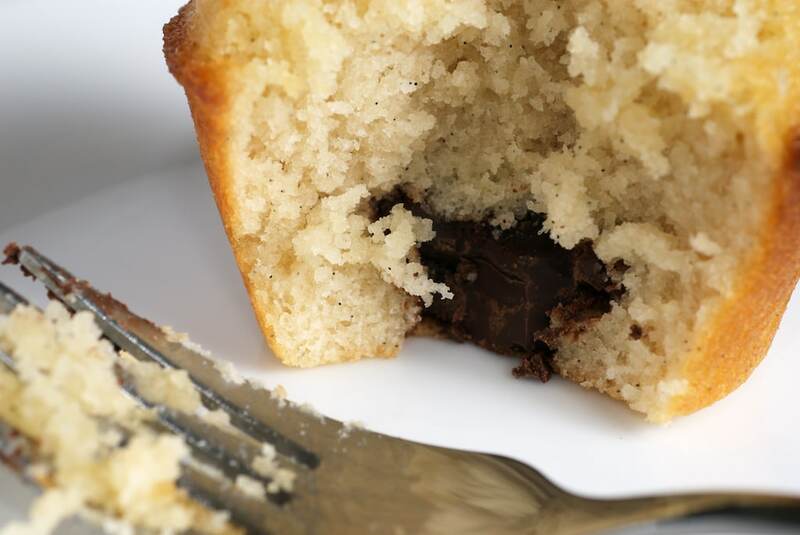 For a little hidden flavor bonus, place a hazelnut in the center of the crusts before adding the filling. That little hazelnut adds some crunch, too. 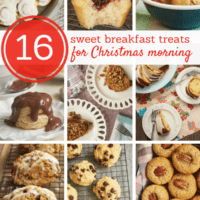 Get creative with these and add another kind of nut or maybe some peanut butter chips. 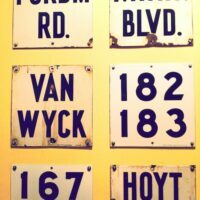 Make them all different if you want. It’s a fun way to make dessert a little more interesting. 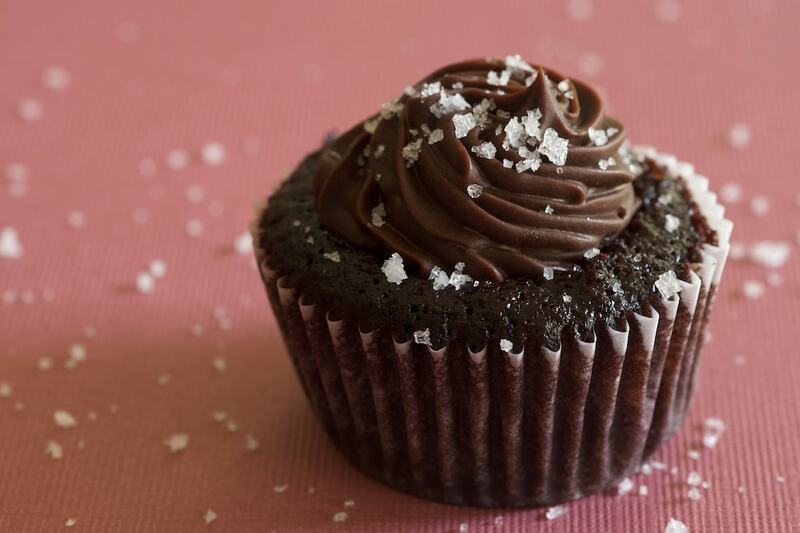 These Chocolate-Filled Cupcakes are fabulous for many reasons. First of all, they offer a lovely contrast between vanilla and chocolate. Secondly, they are amazingly simple to make. I also love that they don’t require frosting. 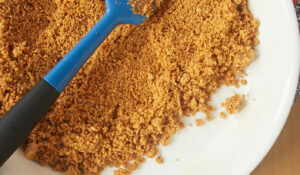 Just a sprinkle of confectioners’ sugar is all that’s needed. While I’m not really a candy bar fan, I have a tough time resisting the addition of peanut butter cups to my baking. I’m a bit picky about them, though. I only really like the mini versions. Maybe it’s the ratio of chocolate to peanut butter. 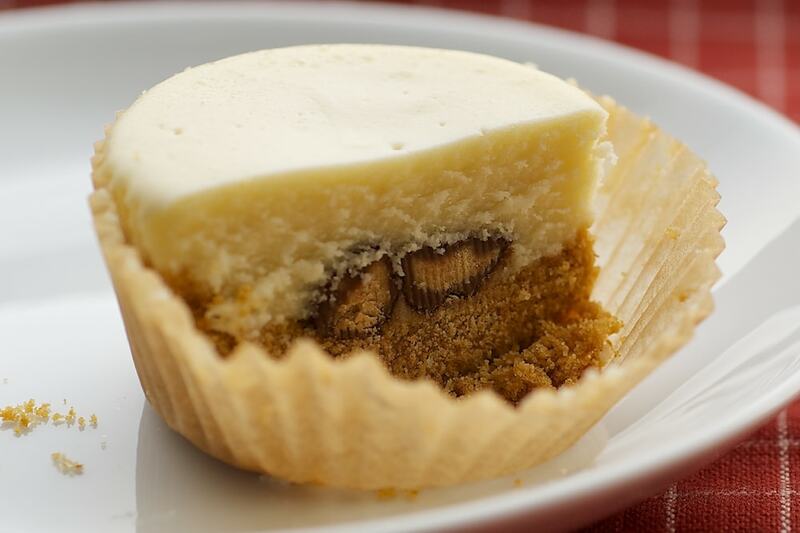 In any case, mini peanut butter cups are a perfect little surprise inside these Peanut Butter Cheesecake Minis. 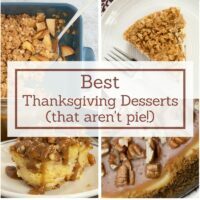 There’s quite a bit of chocolate and peanut butter love among these desserts. But, I can’t quite bring myself to apologize for that. These Brownie Peanut Butter Cups are ridiculously good. The brownies are not only filled with peanut butter, but they are also topped off with plenty of chocolate chips and peanut butter chips. See? Ridiculous. Now, for the reason that filled desserts have been on my mind. 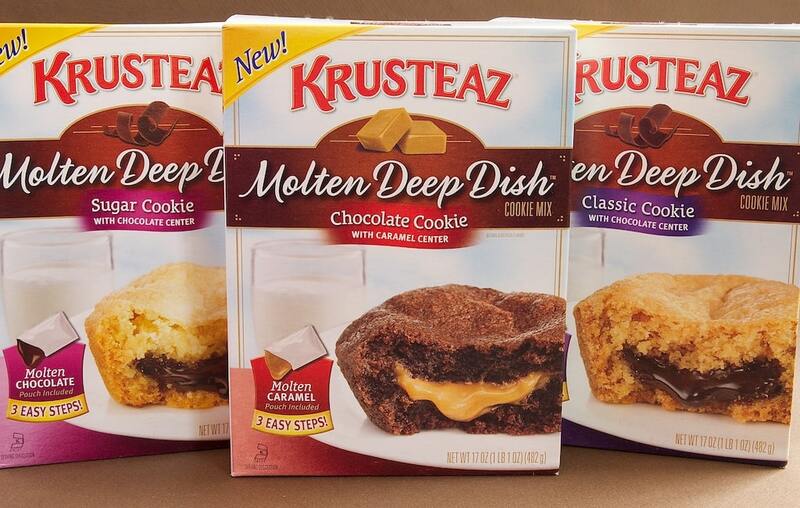 Krusteaz recently sent me some of their new Molten Deep Dish Cookies mixes to try. 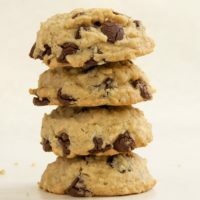 These take standard cookie mixes a step further with deep dish cookies with a warm filling baked inside. The mixes are available in Classic with a chocolate filling, Chocolate with a caramel filling, and Sugar with a chocolate filling. Stay tuned to BoB to see these mixes in action! 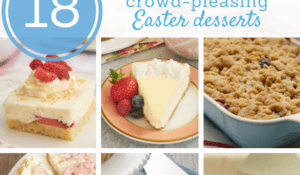 Krusteaz is also going to send one Bake or Break reader one of each of the new mixes to try for yourself! Please use the Rafflecopter widget below to enter for your chance to win a set of Krusteaz Molten Deep Dish Cookies mixes. If you cannot see the widget, make sure your browser is updated or try using another browser. All details and requirements for entering are in the widget. Please note that you must be a U.S. resident 18 years or older to enter. 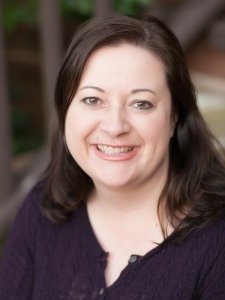 If the winner does not respond within 48 hours, another winner will be chosen. Be sure to add bakeorbreak at gmail dot com to your address book so that a winning email from me won’t end up in your spam folder. Disclosure: Krusteaz provided samples of their mixes for me to try, as well as providing the giveaway products. All opinions are my own. 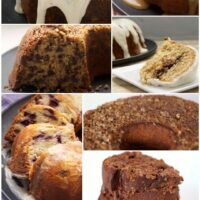 I don’t have anything sweet in the house right now and I want one of everything in this post! Ya know what’s even better than a dessert?? A dessert FILLED with another yummy sweet! I’ve actually made your chocolate peanut butter munchie cookies! Except mine came out a bit fatter in the middle (my fault) haha Thanks for including my cupcakes! 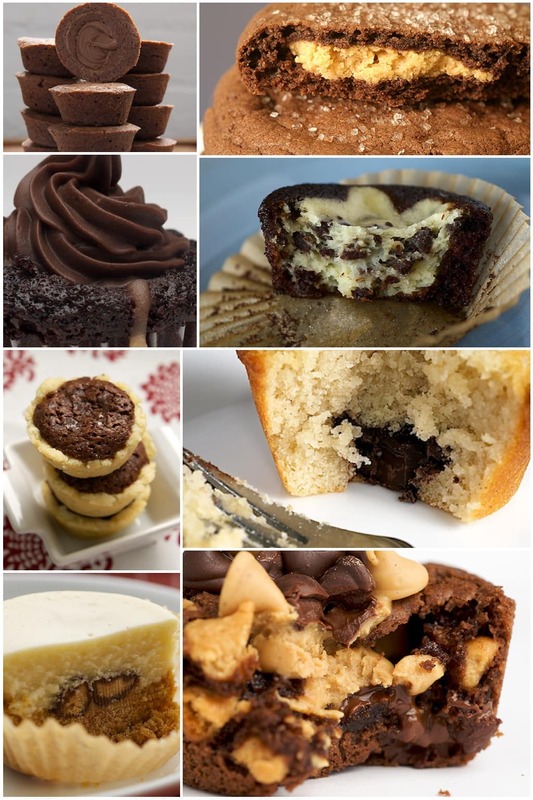 These all look AMAZING – particularly looking forward to trying the Chocolate Salted Caramel mini cupcakes. Thanks! The chocolate and caramel ones look so heavenly.